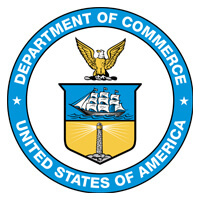 On September 21st, 2015 the US Department of Commerce awarded the third phase of an eight phase scheduled deployment of wireless as a sole sourced contract to TekSynap (formerly Synaptek Corporation). TekSynap will add nearly 400 Cisco wireless access points expanding the system to blanket another large section of the 3rd largest federal government building operated by GSA. The system will provide public and private wireless coverage throughout Commerce newly renovated sections using the open office concept developed by GSA. The eight phase Commerce renovation project is scheduled to run through 2021 and will continue to enhanced wired and wireless coverage for the entire facility. Under a broad initiative to secure Commerce agencies within HCHB, the project also calls for TekSynap to enhance the security posture of the Commerce wired and wireless network with the installation of an Identity Management solution known as ISE from Cisco Systems. As a Cisco Advanced Security Solution partner TekSynap will expand the enhanced security solutions platform for the Office of the Secretary, OIG, BIS, NTIA and NOAA’s Information technology enterprise covering all assets within the building. TekSynap has worked closely with Commerce agency staff on the highly complex task to interconnect the ISE Security platform to NOAA’s Active Directory domain structure offering secure authentication services with virtually no disruption to the clients. This complex task accounted for logical connections of the Identity Security platforms.